This Leaving Cert French Booklet contains 50 sample topic sentences on the topic of THE ENVIRONMENT,which are written in English and French. They are a perfect solution for any student wishing to improve their written skills. Each sub-set of sentences is accompanied by grammatical constructions, which students then use to write their own sentences. 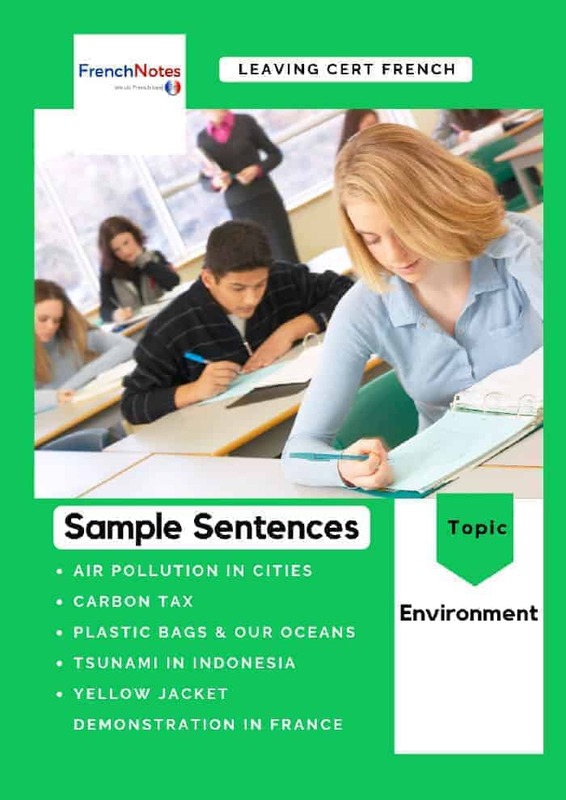 In this pack of sample topic sentences, the following sub topics are included: Air Pollution in Cities, Carbon Tax, Plastic bags and our Oceans, Tsunami in Indonesia, Yellow Jacket Demonstrations in France.